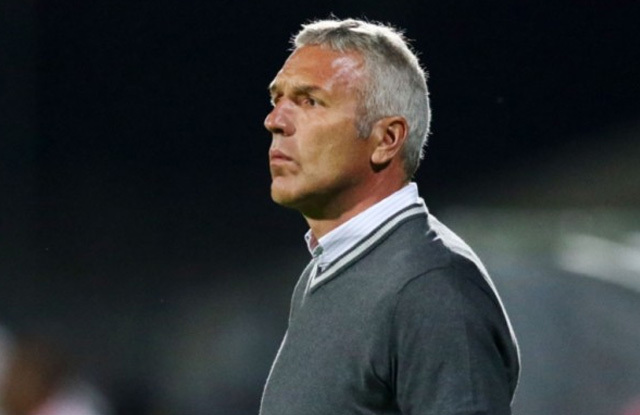 Maritzburg United head coach Ernst Middendorp says that his side could and should have taken all three points against SuperSport United last weekend. The Team of Choice led the game twice, but allowed the Pretoria side to equalize on both occasions to earn 2-2 draw. Maritzburg also saw the linesman’s flag go up twice in goal scoring opportunities when replays showed the KZN side to have been on-sides, while it was debatable as to whether Clayton Daniels’ headed goal for the hosts actually crossed the line. It was argubably an improved performance for United, with positives to be taken into their next encounter, at home to Pirates this Saturday night (click here for ticket info). Mistakes were also made however, and Middendorp will certainly be looking for his team to cut out certain errors. “I think it was a performance after 10 days training – a lot of naivety we have seen from the players, otherwise we would not have conceded the last goal. “We have to learn a lot. I’m deeply disappointed about the result at the end of the day, there was only one team that deserved to win, and that is Maritzburg United. But we messed it up ourselves,” said the German-born coach.